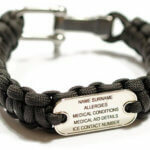 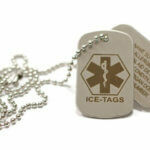 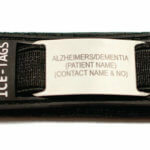 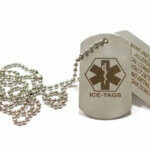 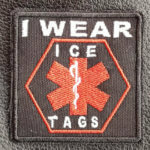 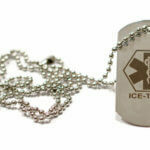 ICE-TAGS Paracord Medical Band has over 200 uses. 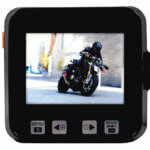 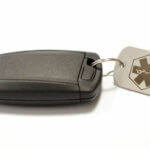 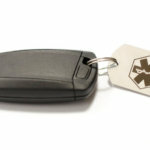 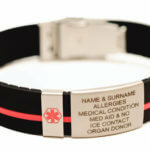 It comes with a Life-Saving bonus of a Medical Information Plate, which is securely attached to the most visible and obvious side of the Band for easy access to First Responders, for relaying Vital & Critical Information In Case of an Emergency. 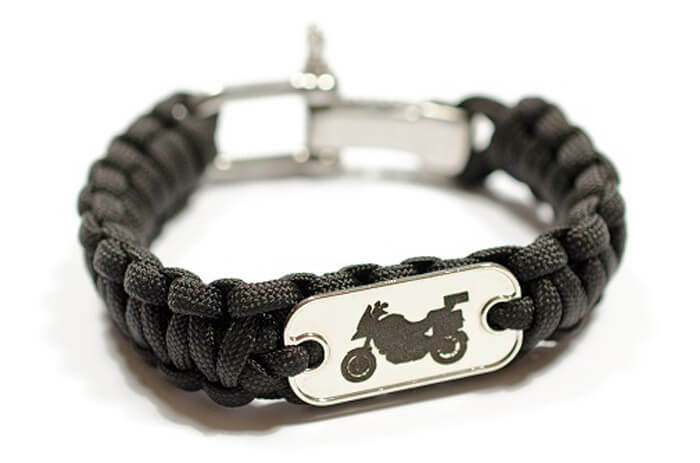 The Band is especially designed to be 1 to 2cm bigger than your Wrist. 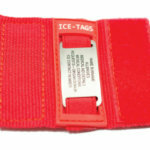 The loose fitting strategy will prevent blood flow restriction in case of swelling due to a sting or bite, a fracture or even a bone break. 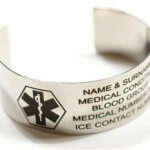 After all, it is a Survival Band therefore every inch extra could turn a bad situation around. 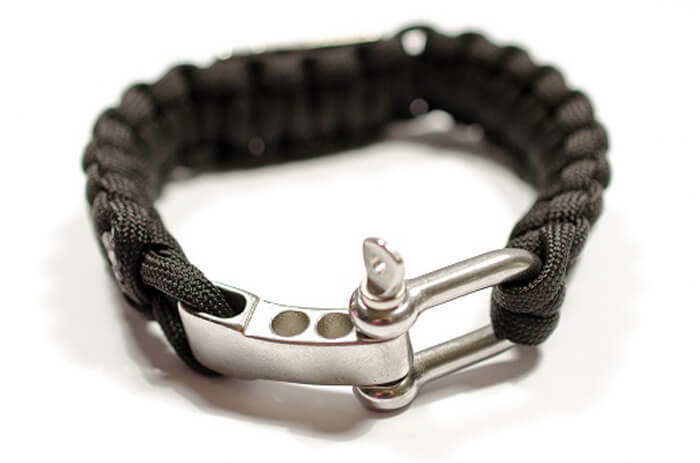 The Stainless Steel D-Link Shackle can easily be incorporated in to your Solution in any Survival Emergency Situation. 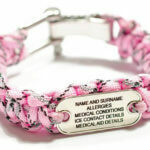 When choosing your Band size, measure your wrist circumference and select the Band size closest to the measurement. 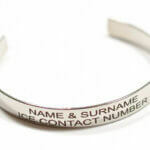 There are 4 lines available for your engraving details and not 5 as per the Picture. 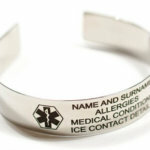 A personal Logo could be engraved if no info is required. 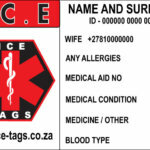 Please note that additional charges may occur if any extra design work is to be done to cover setup fees. 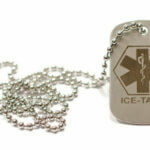 Can u make the disc in gold plated. 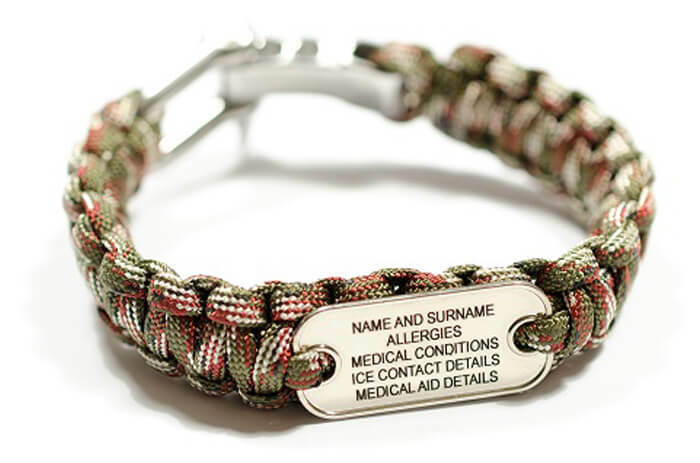 Thank you for your enquiry – unfortunately the ID Plate on the Paracord is not available in gold or gold plated, one is not able to laser engrave on Gold Products. 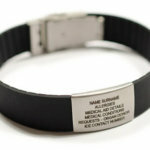 From what kind of metal is the engraved plate that is in front with your info made off? 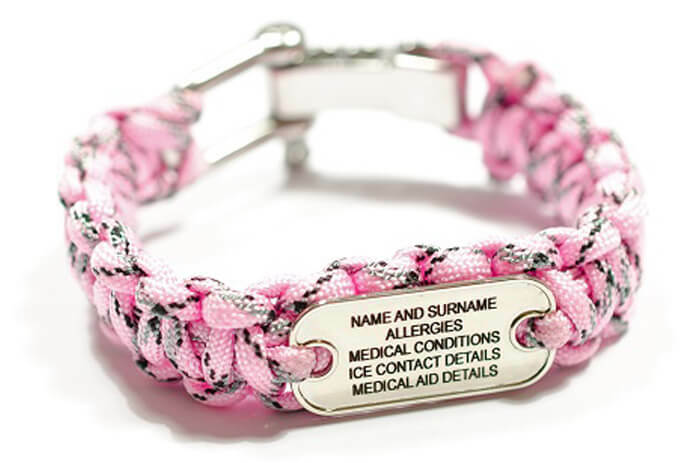 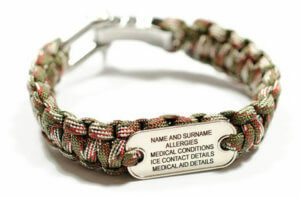 The ID Plate on the Paracord is made up of a combination of alloy and stainless steel and other metals. 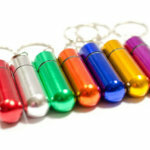 Could possibly contain lead.